♥ Swimfin Blue ♥ Fast Shipping ♥ Free Shipping ♥ Fre..
♥ Swimfin Purple ♥ Fast Shipping ♥ Free Shipping ♥ F..
♥ Tumble n Dry Marble Orange ♥ Fast Shipping ♥ Free Sh..
♥ Puddle Jumper Puddle Jumper armbands orange orange ♥ F..
♥ Swimfin Red ♥ Fast Shipping ♥ Free Shipping ♥ Free..
♥ Swimfin Orange ♥ Fast Shipping ♥ Free Shipping ♥ F..
♥ Swimfin Gray Dolphin ♥ Fast Shipping ♥ Free Shipping..
♥ Puddle Jumper armbands Watermelon Red ♥ Fast delivery ..
Swimsuits and swimming bands for babies, toddlers, preschoolers and children. 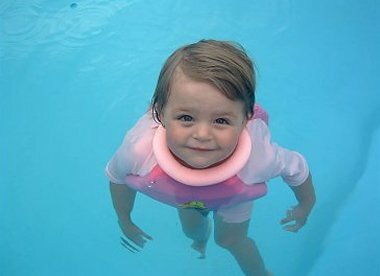 The fine floats from Swimsafe are available in different colors and sizes, they increase the safety of your child in the water. The float packs have specially shaped floats (chest-back-neck) that mold to the body of your child. If you do not want a floating suit but do not want protection against harmful UV radiation then opt for a UV 50+ swim suit. In addition, we also offer a good range of ana wetsuits, swim trainers and the popular Puddle Jumper swimming pools / swim vest from Sevylor.